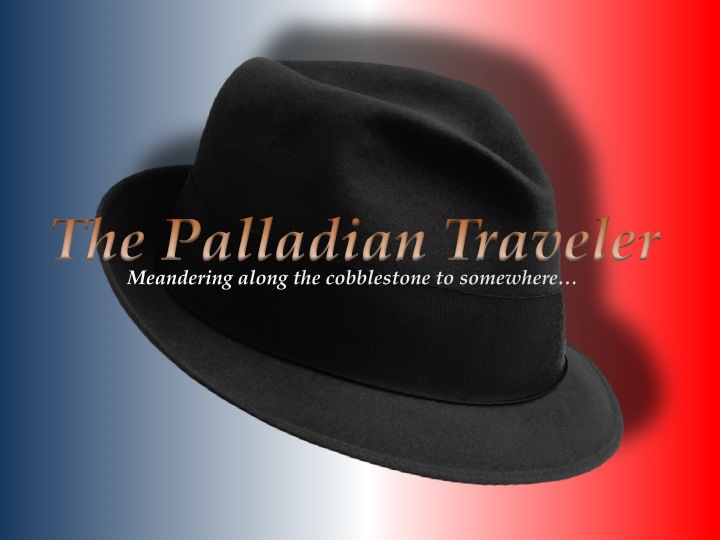 One of the highlights — and there were many — of my recent 10-day sojourn around parts of southwestern France was to finally meet a fellow blogger in the flesh. Not only did my petite famille gather for a week of joie de vivre, but our host during our entire get-together was Stéphane Gabart, the effervescent, bon vivant behind My French Heaven, a must-read blog for anyone who loves and craves all-things French — from cuisine, to design and fashion, to the laid-back lifestyle that is uniquely southwestern France. 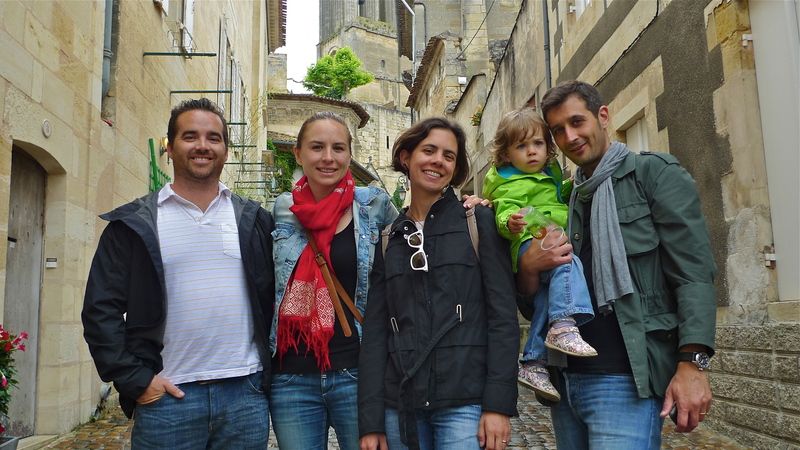 It was through Stéphane’s blog that I found out about his family owned and operated B&B, the Chateau Saint Jacques Calon, in Montagne, just across the hill and around the bend from picture-postcard perfect Saint Emilion — a UNESCO World Heritage site — in the Gironde department of the Aquitaine region. You can come for the scenery, and you should, but, by all means, stay for the food and the superlative wines. Thanks to Stéphane, he provided us with au courant dining suggestions and every night, and sometimes at midday, we experienced another layer of his French Heaven via knife, fork and wine glass. Mon Dieu! And for sightseeing, Stéphane was always Jeannot-on-the-spot with great recommendations on where to go and what to see: small villages, the nearby seacoast, open-air markets, wine tastings at some of the world-famous chateaus, guided tours, etc. In the end, his mobile phone got quite a workout, as he always called ahead and booked our tours, wine tastings and restaurant table reservations. 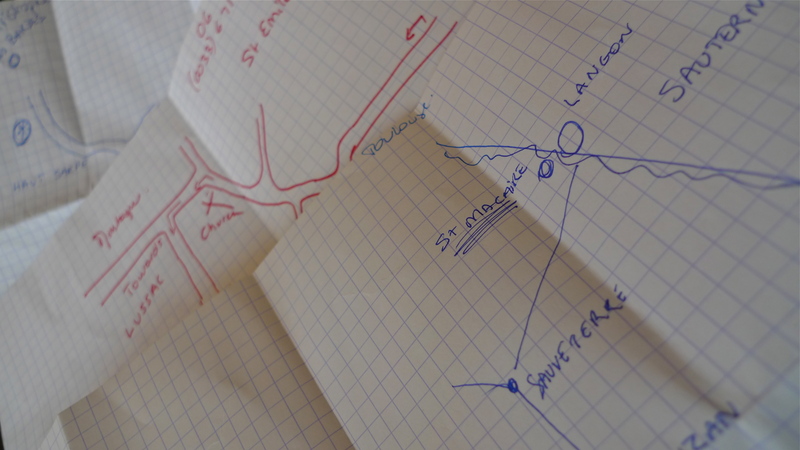 In addition, Stéphane’s one heckuva cartographer, as he would draw up maps every morning filled with minute details to ensure that we did not get lost along the way. An in-car GPS doesn’t always get you where you want to go, but there was no “recalculating” when following Stéphane’s hand-drawn road maps. 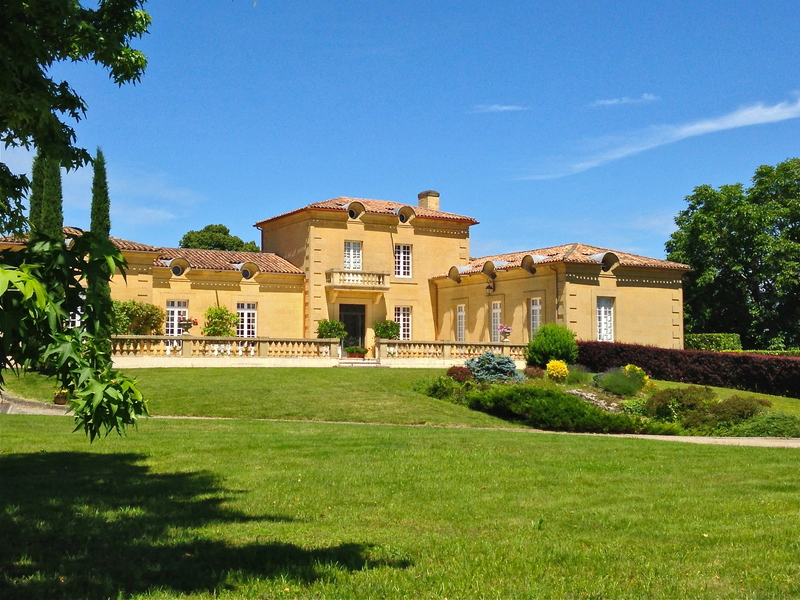 The former estate-home of an award-winning vineyard that continues to produce the chateau’s namesake wine, the property was purchased separately by Stephane’s family some years ago. They may not own the vineyards, but guests can take a leisurely stroll through the endless rows of merlot and cabernet franc grape vines just beyond the property line up to the two well-preserved windmills. 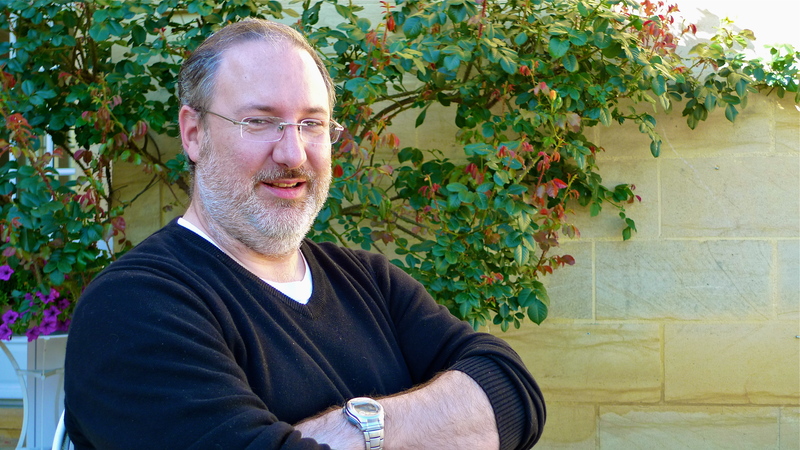 From there you can see why Stéphane calls his blog My French Heaven. Our small party of five-and-a-half had the “run of the house,” as we occupied one wing of the chateau, the side facing the deep blue, saltwater swimming pool surrounded by a well-manicured garden. We enjoyed our daily petit dejeuner (breakfast) poolside, as well as a few picnic lunches at midday and our nightly aperitif before heading off for another dinner of regional haute cuisine. 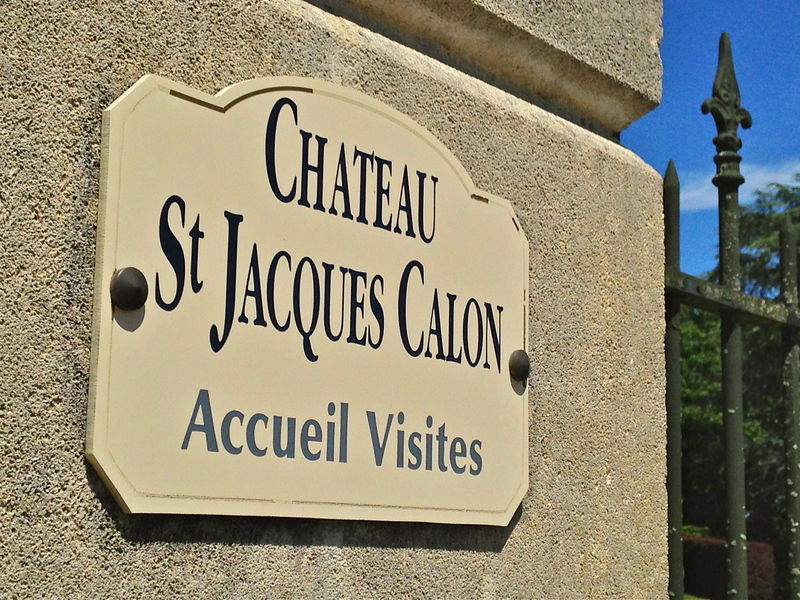 The Chateau Saint Jacques Calon was the perfect base for our family reunion in the southwest of France. The rooms, with their comfortable four-poster beds, are clean, bright and spacious. And, the complimentary WIFI service makes it easy for you stay in touch with family and friends back home and tell them all about your days and nights in this photogenic corner of France, either inside the air conditioned room or outside around the pool. For complete details on this tranquil B&B, located in the heart of one of France’s most prestigious wine-producing areas, just click HERE. 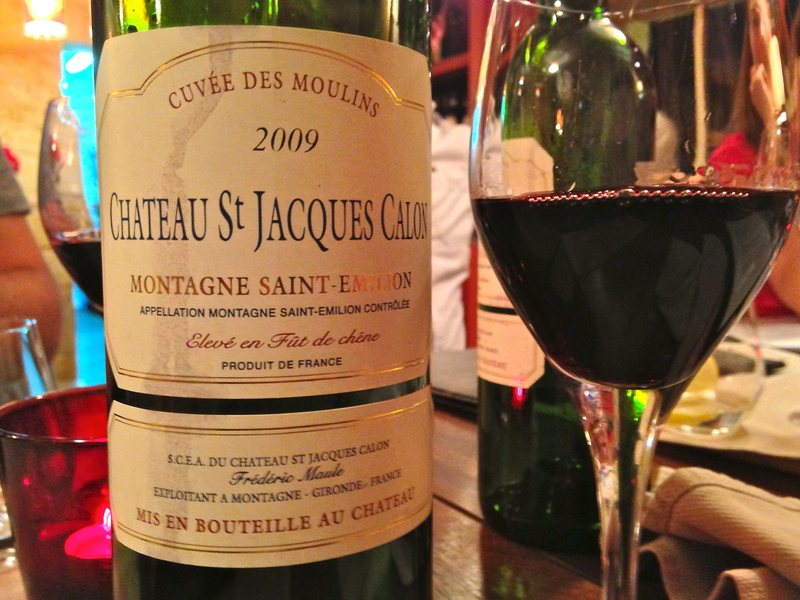 The Chateau Saint Jacques Calon — Stéphane’s French Heaven, and maybe yours, too.